Today more than ever, social media has a strong presence in our lives, and with that, comes these images of celebrities who always appear to be on. From glowing skin to flowing tresses, no stone is left unturned. But with the explosion of social media, users have seemingly become more aware of their favorite celebrity’s entire appearance, especially their smile, and it seems these celebrities have become more conscious, too. 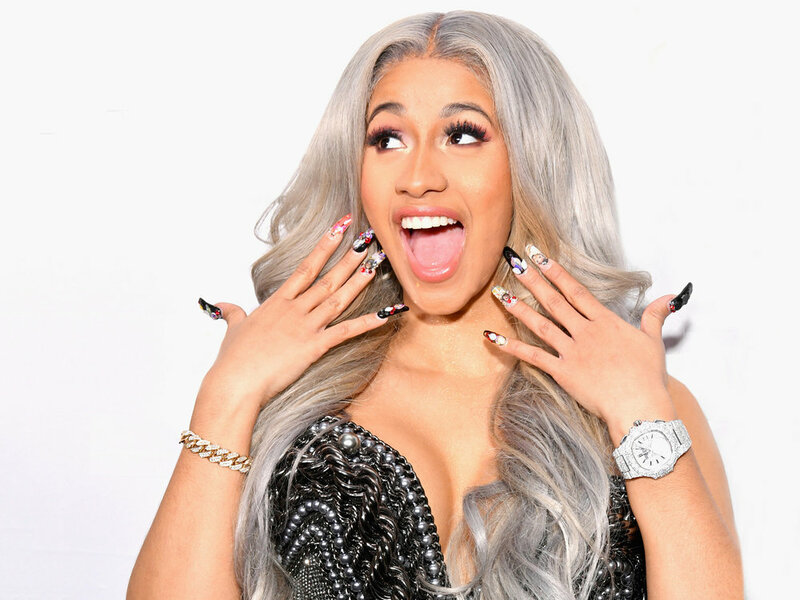 Rapper Cardi B said in her song Bodak Yellow, “…got a bag and fixed my teeth…” which reportedly cost the star $20,000 total. Now, I know the average person does not have tens of thousands of dollars to spend on a smile makeover, but since much of dentistry should focus on prevention, there are ways to avoid spending such a fortune. Below are some myths to dispel when thinking about your visit to the dentist! Myth #1: As long as I brush and floss daily, I don’t need to see a dentist. Dentists are skillfully trained healthcare professionals in diagnosing and treating diseases of the oral cavity, including the head and neck region. While brushing and flossing are practices we encourage, there are still threats to the oral cavity non-dentists cannot detect. It is important to see you dentist at least twice a year; these visits are vital in detecting the threat of tooth decay, tumors of the jaw, and even high blood pressure. During the dental examination, the dentist will complete any necessary radiographs (x-rays) as well as perform a clinical examination in order to diagnose and treatment plan your case. Prevention is key; don’t wait until it hurts! Myth #2: Hookah isn’t that bad, I could be smoking something much worse like cigarettes. Cigarettes are notoriously horrible not only for your overall health, but your oral health as well. Tobacco use, especially coupled with alcohol consumption, increases your risk of developing oral cancer by 40 times. But hookah is no safe bet either; there is still exposure to tobacco. And although the tobacco is filtered to some degree, there are still detectable levels of carcinogens being introduced into the body and obviously the oral cavity as well. Be mindful that oral cancer can spread very rapidly because of the makeup of the oral environment. Oral cancer treatments can be as invasive as tongue and/or jaw resection (removal by surgery) to as final as death. Additionally, studies have shown those who smoke marijuana are likely to incur damage to their periodontium (teeth, bone, and gums) leading to gum issues and further encouraging periodontal disease⎯an inflammatory condition of the periodontium coupled with bone loss⎯which can eventually lead to tooth loss. Myth #3: Tongue piercings…what’s the big deal? First of all, getting your tongue pierced is a daring act; the tongue is largely vascularized (blood vessels) and the thought of damaging a major vessel is unnerving. However, just because your oral piercing has “healed” does not mean you’re free from potential harm. Consider all of the bacteria freely floating in the mouth, both good and bad. The likelihood that bad bacteria are present in higher numbers drastically increases if you have skipped your routine dental visit. Bad bacteria can travel through the pierced site, enter into the bloodstream, and course directly to the heart, leading to serious health complications, is a very likely scenario. The same goes for the intimate exchange of body fluids. Knowing the status of your oral health is equally important as being aware of the status of your overall health. Also keep in mind oral piercings can lead to chipped teeth, gum recession, bad breath, and even tooth loss. Myth #4: As long as I brush my teeth, I don’t need to floss. It’s great that you’re brushing your teeth, but what if you only cleaned the outside of your car and didn’t bother to detail the inside? The same can be said about only brushing and not flossing. Your teeth have five surfaces and all 5 should be accessed during oral hygiene practices. Brushing your teeth accommodates the surfaces that are directly visible, which typically are three. But if you don’t floss, you are not cleaning each accessible tooth surface. Flossing with the traditional string floss ensures removal of debris between the teeth that not only encourage tooth decay, but periodontal disease (bone loss) as well. In the same breath, mouthwashes do not replace the mechanical activity of flossing; there are no shortcuts! So brushing twice daily with a soft bristle toothbrush⎯electric brushes are good too, especially Oral-B®⎯and flossing at least once daily is the standard you should strive to meet. Myth #5: Activated charcoal toothpaste and oil pulling are better alternatives to what my dentist recommends. According to the American Dental Association (ADA), there is no scientific evidence to support the use of activated charcoal or oil pulling methods when it comes to oral hygiene practices, specifically, teeth whitening. In fact, activated charcoal can be quite abrasive to the outer enamel layer of the teeth, and actually cause irreparable damage. At this time, only anecdotal evidence exists for the support of these practices, which consequently, falls at the lowest level of evidence supported by the scientific community. Nonetheless, there are both over-the-counter products as well as in-office treatments that have been approved by the ADA and Food and Drug Administration (FDA) that will ensure you reach your preferred appearance. Stick to a fluoridated toothpaste and any approved whitening system for the results you desire! Myth #6: I’m too old to get braces and they are for people who want perfect smiles anyway! While you can never truly be too old for braces, it can become more difficult to align the teeth as you age. As we realign teeth into a more ideal position, bone is constantly being broken down and formed again in order to aid movement of the teeth through bone. But, braces aren’t just to achieve “perfect” smiles. Placing the teeth into a more ideal alignment serves to correct malpositioned teeth, which if left uncorrected, can lead to issues of effective oral hygiene practices, food impaction, tooth decay, and even periodontal disease. Teeth are meant to come together in a harmonious relationship, and if those teeth are off balance in any way, the unevenly distributed forces will not only begin to wear your teeth, but possible fractures of tooth cusps and crowns can happen as well. So, think of braces, or the increasingly popular Invisalign®, as an approach to protecting and preserving your oral health. Now that some myths have been dispelled, make sure you get in for that check-up so your smile can continue to shine bright! Jennifer Hunter, DDS is a General Dentist originally from Detroit, MI and currently practicing in a private dental office in Washington, DC. Dr. Hunter attended the University of Michigan School of Dentistry, where she had the opportunity to publish a study on a topic near and dear to her heart, underrepresented minorities in healthcare. Her career focuses are still broad, but she is nonetheless passionate about restoring smiles and connecting with her patients to provide them with the care they deserve.